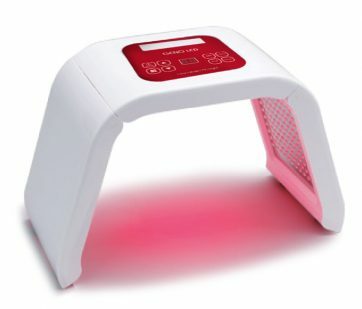 LED light therapy is a light-based skin care treatment. It uses different wavelengths of UV free LED lights for the treatment of various skin conditions. The light encourages the production of chemicals within the skin which in turn promote the production of collagen and elastin. The treatment was developed due to the fact that our skin absorbs light and uses it as a source of energy to stimulate a healing response. In fact, specific colour wavelengths penetrate the skin at varying depths helping to restore cellular imbalance. 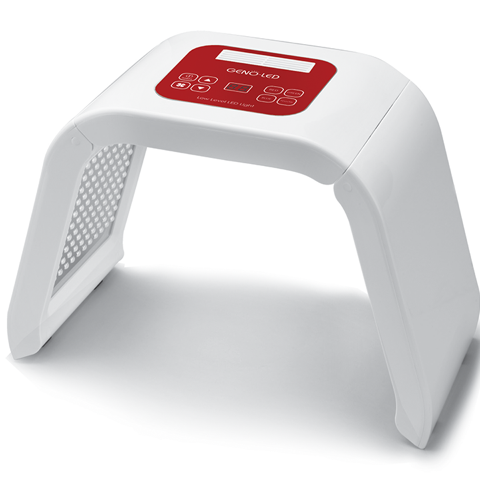 GENO-LED is an LLL (low level light therapy) device which resolves skin problems with no downtime, few contraindications & no unwanted side effects. It also facilitates regeneration and soothing and resolves skin concerns by irradiating lights with various wavelengths ranging from 423nm to 640nm. GENO-LED offers near-infrared SMD LED (Surface-Mounted-Device Light Emitting Diode) elements, therefore producing excellent results. GENO-LED is a light source irradiation device which painlessly and safely eliminates risks which are disadvantages of general coherent laser & IPL treatments such as heat damage and photo-ageing wounds. GENO LED is an LED device consisting of 287 special near-infrared SMD LED elements. As a light source, LED has a narrow wavelength bandwidth. A light source with a particular wavelength is released, thus, harmful UV light nor unnecessary IR are not released. It has important advantages such as minimum side effects and damages of the tissues or eyes due to low energy output. What can LED light therapy do for the skin? If the LED light is at the correct wavelength the light will encourage the cells in the upper layer of the skin to convert this ‘light energy’ into ATP (adenosine triphosphate), this is what the cells use to do their job correctly. In the dermis layer of the skin, fibroblast cells produce collagen and elastin. Also, collagen is what gives the skin fullness and elastin is a highly elastic skin cell that gives the skin its ability to bounce back into shape. Therefore, LED light can give the skin cells the ability to produce collagen and elastin like a body far younger than it actually is. Excellent for post treatment of acneic or oily skins. Reducing inflammation of acne lesions and treating porphyrins. How can an LED light device benefit my business? 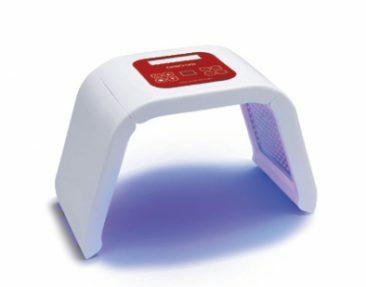 LED light therapy is growing in awareness and popularity throughout the UK. Red light therapy alone gets 50,000 searches on Google in the UK which shows that the market is beginning to understand the treatment. 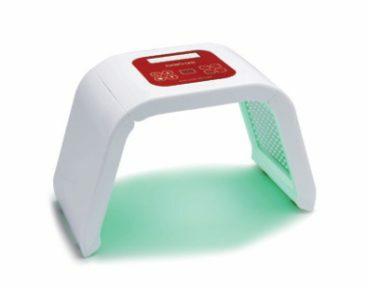 LED light therapy can be used as an upsell or as an incentive for clients to have a treatment with you. For example, it’s fantastic in helping to stimulate a healing response after a microneedling treatment enhancing the results you are able to get. Although it is often used alongside other treatments, LED light therapy has seen fantastic results when sold as a course of stand alone treatments too.